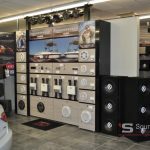 Sound Depot & Performance is one of the best vehicle and marine enhancement centers in the country. 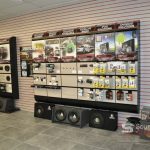 As a multiple Mobile Electronics Magazine “Top 12 Retailer of the Year” award winner, we pride ourselves on having the products you need in stock, the best tools for the job and highly experienced people to ensure your visit is incredibly rewarding. One way we can do this is through our amazing, well-appointed professional facility. 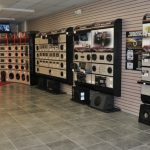 We have a fully outfitted showroom with all of the latest technologies on display. Let our trained and friendly product specialists show you the latest in-dash navigation system, rear seat video, Bluetooth hands-free solution or an amazing sounding audio upgrade. We stock all the products we sell and we pride ourselves in being a no-pressure sales environment. 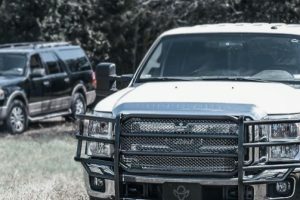 Our ability to demonstrate the products we offer mean you get firsthand experiences that increase your confidence in a purchase. If you wish to bring your own music to audition any of our sound system upgrades, no problem. We recommend bringing the original CDs or DVDs if available. If you have downloaded or digitized (ripped) your media we recommend WAV, FLAC or Apple Lossless file formats. Ask our knowledgeable and friendly product specialists for more details. 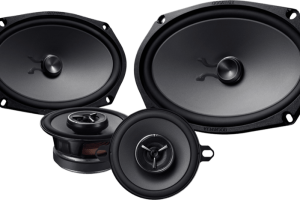 We pride ourselves in delivering you amazing sound upgrades. 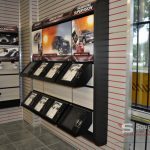 Our well-appointed showroom also features displays for our other categories that include wheels & tires, premium window tint, paint protection film and a wide range of truck accessories. We install everything we sell and our friendly product specialists are on hand six days a week (Monday-Saturday) to provide a comprehensive demonstration and answer your questions. We have three fully-outfitted attached installation bays in our main building that house all of our electronics installation activities. We stock all the necessary supplies and installation-related accessories so that what we install fits and functions in your car without any unnecessary modifications or functionality loss. 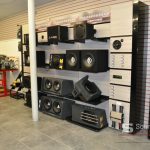 We like to say we install it as if it were from the factory, but the truth is some of our technology is only available from Sound Depot & Performance because, many times, it’s not offered from the factory. Our installation technicians are vastly experienced on all makes and models of vehicles, whether a brand new car off of the dealership lot or a trusted older vehicle that’s in for a technology enhancement. Our lifetime installation guarantee is the peace-of-mind that ensures you’re getting the best installation value money can buy. To minimize any dust and debris, we have two separate window tinting bays on the Sound Depot & Performance property. 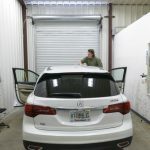 This allows our window tint technicians a near ‘surgically clean’ work environment that ensures your window tint is applied with the utmost attention to detail. 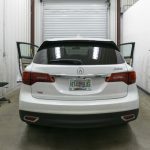 With a lifetime warranty on the premium window tint and our highly experienced installation labor, this dedicated work area is one additional benefit our customers appreciate and know contributes to the exceptional quality of our work. 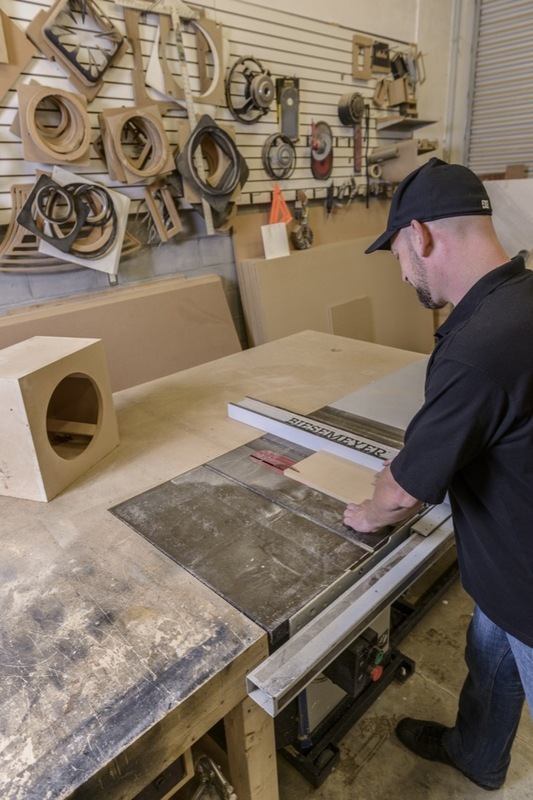 At Sound Depot & Performance, we can build just about anything your imagination can dream. We have a dedicated woodshop and fabrication room to eliminate the probability of stray dust and debris from your vehicle while in our care. Our fabrication capabilities are supported by our advanced tooling and machinery, as well as technicians with years of experience. We have a commercial-grade table saw, router tables, metal working equipment and many other specialty tools that allow our creative and innovative fabrication technicians to take your imagination and ideas to a finished result. We can also upholster any fabricated interior or trunk panels to match your factory upholstery color and texture so that when your vehicle leaves Sound Depot & Performance, you’ll have a personalized vehicle of which you can be very proud and confident. 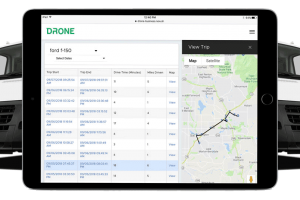 While not all vehicles are completed in an hour or two, many upgrades and installations take less than half a day. Sometimes it may be an hour or two. Our friendly staff is able to provide an accurate estimate of time when you visit or schedule an installation appointment. Should you wish to wait for your installation to be completed, we have a comfortable customer waiting area in which to relax while your car is in our expert care. 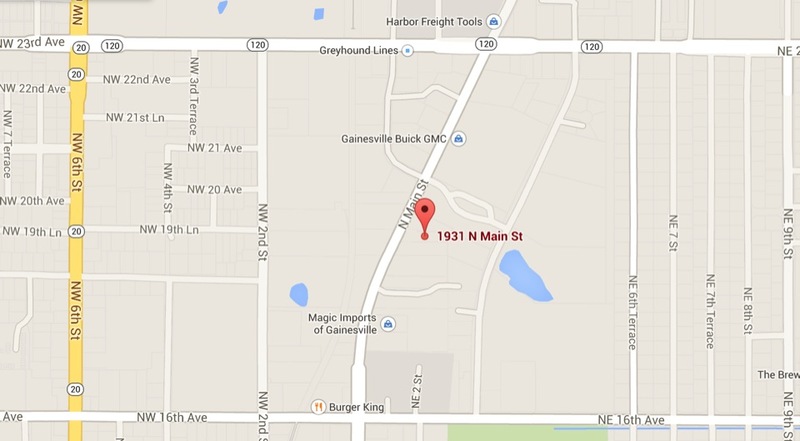 We’re located near many of Gainsville’s top new car dealerships so we’re convenient to visit and very easy to find. 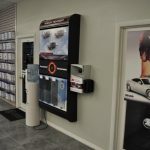 If you’re in the area checking out new cars, visit us to learn about what upgrades we can offer for that new car or what we can install in your existing car to bring its technology and comfort up to that “new car feel.” We service many of the local new car dealerships and they understand the level of quality and expertise we bring to all of our installations at Sound Depot & Performance. 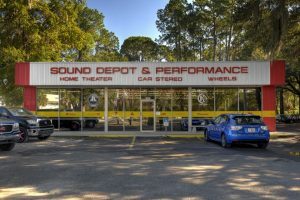 Call us at (352) 374-7700 or come in to Sound Depot & Performance and visit us today. 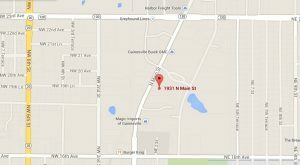 We are open Monday-Saturday and conveniently located at 1931 N. Main Street. Our courteous and knowledgeable staff looks forward to getting to know you and serving your vehicle enhancement needs.